Mt Sefton (3151m centre) and Footstool (2764m right) above the Mueller Glacier lake and valley. Southern Alps, Main Divide. 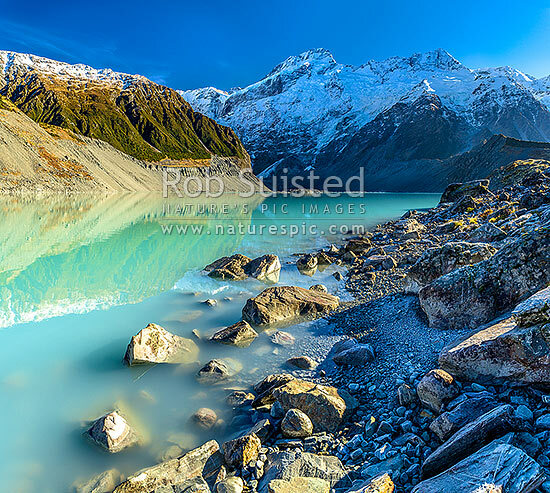 Square format, Aoraki / Mount Cook National Park, MacKenzie District, Canterbury Region, New Zealand (NZ), stock photo.